A lot of you have seen our collared lions in the camera trap photos. No, they’re not tame – they’re radio-collared. Since 1984, the Serengeti Lion Project has used radio-telemetry to monitor these big cats (See Craig’s post for some Lion Project history). Now, no matter how lazy the lions appear to be, they can move rather quickly when they want to. So to collar a lion, a Serengeti veterinarian immobilizes the lion with a dart gun; while the lion is immobilized, we take measurements and collect samples to monitor her health. We make the collars snug enough so they don’t get caught in vegetation, but loose enough to be comfortable whether the lion is standing, moving, or (more likely) sleeping. Once the lions are collared, we still have to find them on a regular basis. Our cars are equipped with a giant antenna (we to learn to “drive in 3D”) that picks up the collar’s signal. We catch the direction by driving in a circle – the signal is loudest in the direction of the collar. However to extend the life of the batteries, we have the signal strength turned down fairly low – we can only hear the collars from an average of 5-10km away on flat ground – so we spend a lot of time driving to the top of hills to capture a signal. We spend a lot of time driving, period. 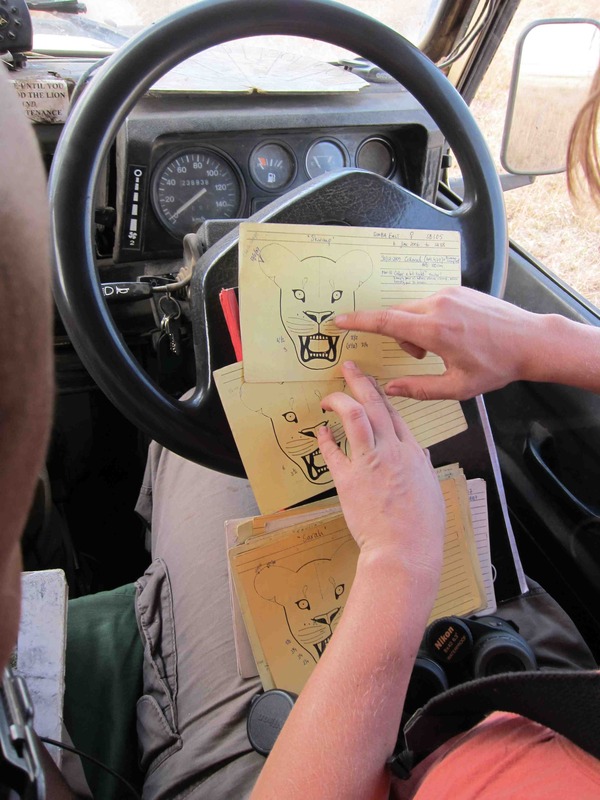 With the help of the radio collars, we can reliably monitor a huge number of lions. We currently track 24 different prides, each with one collared female. Lions live in fission-fusion societies – they’re usually found in dynamic subgroups of two to seven individuals, all coming together only on occasion, such as if there’s a big meal to be had. 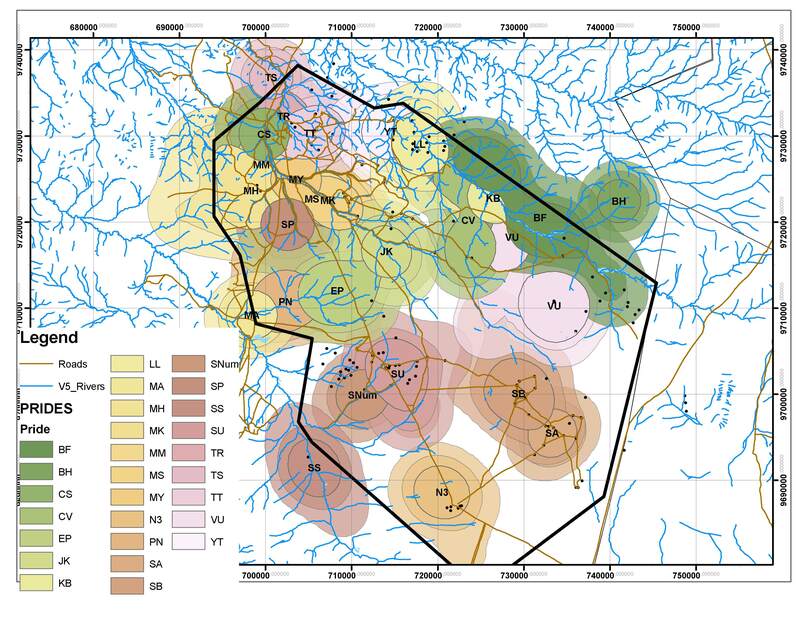 So even though having one collared female in each pride doesn’t tell us where all of the lions are all of the time, her movements are generally representative of where the pride spends its time. The information generated by radio-tracking the lions is…pretty incredible. It means we can find our lions even when they’re in dense areas with poor visibility, or outside of their normal territories. The lions are very habituated to vehicles, especially the Lion Project cars, and we get right up close to identify individual lions based on their unique “whisker spot” patterns. 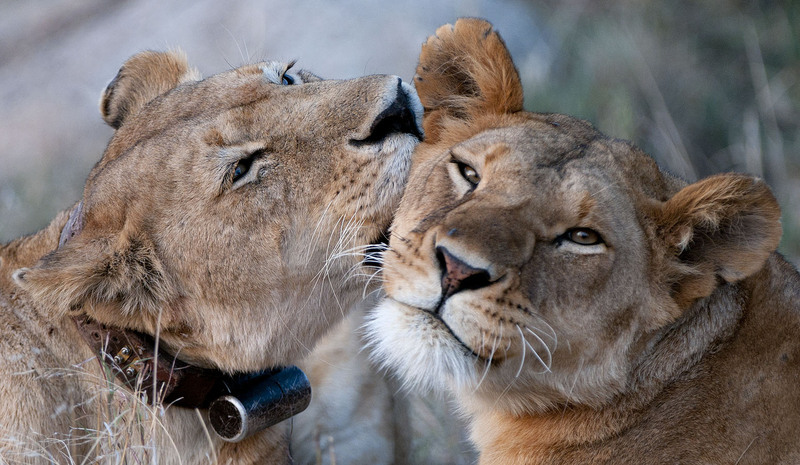 The collars are pretty cool, and have given us a wealth of information about lions. Now the camera traps are letting us learn about all the many other species in Serengeti.